Whenever people ask me for a recommendation of where to get affordable yet effective make up brushes, one of the brands I always point them to is Real Techniques. 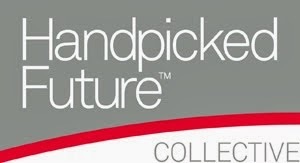 The brand has been around for a while, but if you don't know about them - you should! Makeup artist Samantha Chapman, one half of YouTube sensation Pixiwoo, is the brains behind the brushes. It's nice knowing that someone who actually knows what they want a make up brush to do has made the final decisions - and also the comfort that Sam wouldn't put her name to something she didn't truly believe in. 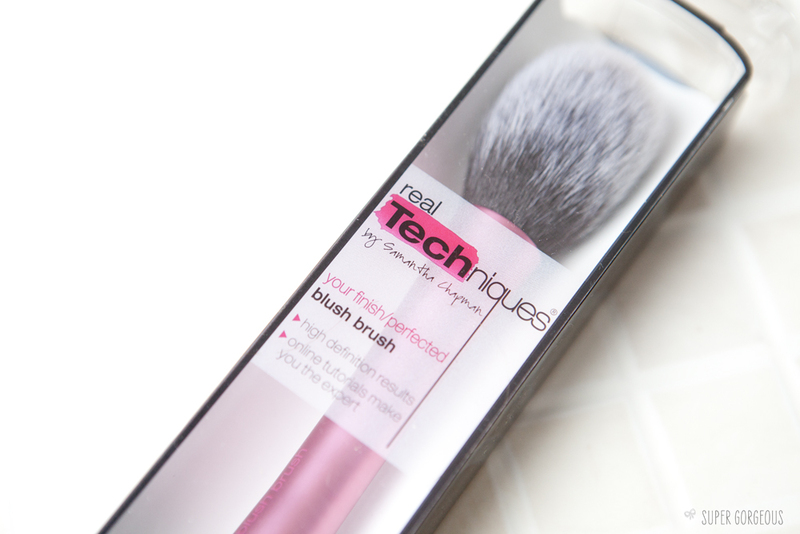 I have a few of the Real Techniques brushes now, the most recent addition being the Blush Brush. The bristles are synthetic and super-soft. They've been cut by hand into a dome-like shape which is great at getting in under the cheekbone if you wanted to use it for contouring and equally as good on the apple of the cheek. I find that the softness and taperedness of the brush means that the product deposits itself gently and evenly which leaves a perfect finish. I tend to use it for blush, although it can also be used for bronzer, contour or for powder - it seems to pick up all kind of powders really well. I love the overall design too - I mean, a pink handle - what's not to love!? They wash well, don't seem to shed at all, and are such good value for money (this one is only £9.99 from HQ Hair). If you want to build up a brush range, I'd highly recommend the Real Techniques brushes. I'm yet to try any of the eye range, but all the face brushes, I've loved. 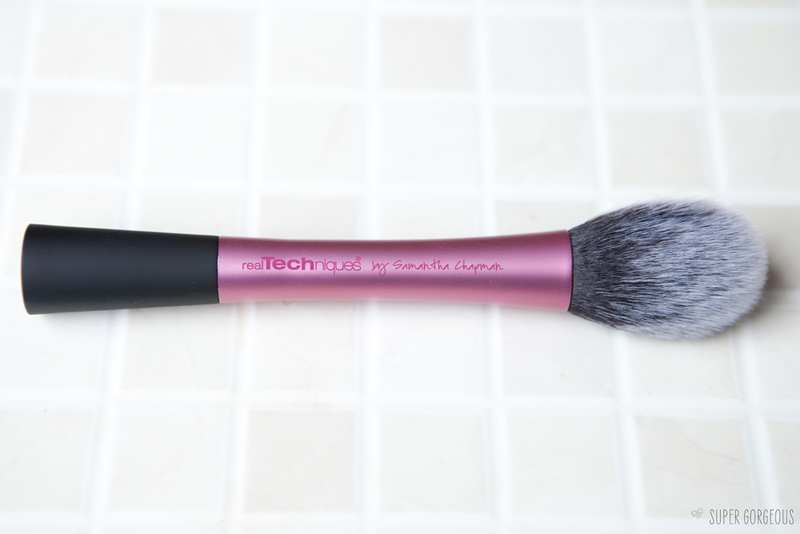 This was the first RT brush I bought and I still love it, it's great for a natural contour and super soft! 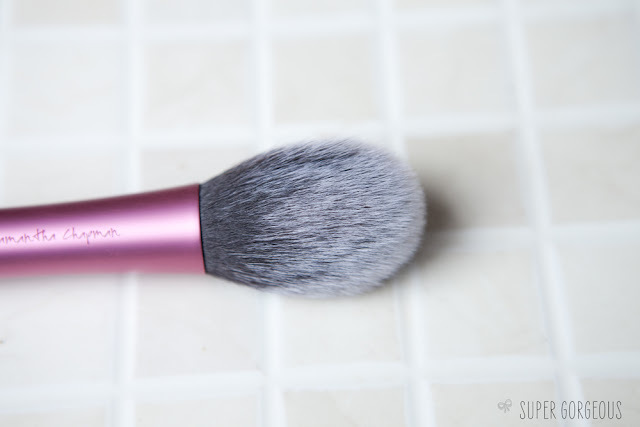 I love the blush brush, I use it for bronzer and blush!